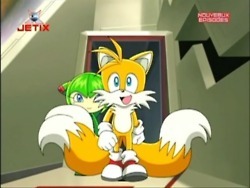 Tails + Cosmo ~ Sonic X. (C) 4Kids America. Wallpaper and background images in the Miles "Tails" Prower club tagged: tails cute cosmo sonicx.